There is an important federal program aimed at replacing wasteful government animal tests and reducing costly animal testing burdens on the private sector by promoting the use of more efficient alternatives to animal tests, but it is currently difficult to assess its effectiveness. The bipartisan Federal Accountability in Chemical Testing (FACT) Act (HR 816) improves this program's reporting requirements so Congress and the public can better measure its progress. Urge your Members of Congress to support the FACT Act to increase transparency and accountability about efforts to reduce wasteful government animal testing! Federal agencies admit that using animal testing to assess the safety of chemicals and other compounds is slow, expensive and inaccurate compared to modern cell-based tests and sophisticated computer models. 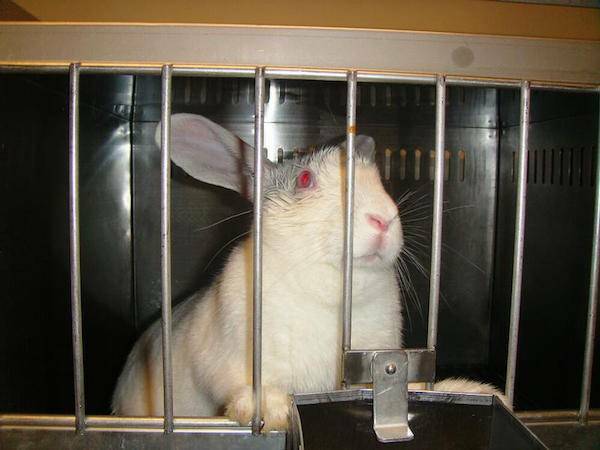 Yet, the government is still spending estimated tens of millions of tax dollars each year for wasteful animal tests that involve force-feeding animals enormous doses of components from green tea, French fries, herbal supplements sold for sexual dysfunction and even cosmetics.